Are you wondering why website analytics are important for your business growth? Website analytics provide you with the actual reports and analytics on how your site visitors behave once on your website; who they are by their age, gender, location, etc. ; how they landed on your site (traffic source); the most popular content on your site; your total conversions; and so on. With this information in hand, you can plan fully informed business strategies and grow your business faster. In this article, we’ll share the major reasons why website analytics are important for your business growth. When it comes to making big (or small) business decisions, it’s important to ensure your decision doesn’t hurt your existing customers, but rather enhances their user experience. It’s more rewarding if it can attract more new users. So, to make a safe and informed decision, you’ll need to know your visitors first. When you know who your site visitors are by their age, gender, geographic location, interest topics, etc., you can take proper measures to enhance their user experience. Similarly, when you learn about the technology (device, operating system, and browsers) they’re using to browse your site, you can test your site’s compatibility with those technologies and make necessary improvements. For example, let’s consider how the popular website analytics tool MonsterInsights helps you improve your site’s overall user experience. Device breakdown: If a large section of your visitors are using mobile device, it’s a clear message that you should make your site mobile-friendly. Language and location: You can see where most of your users are located and create translations for your site if it’s required. Age and Interest Categories: When you identify the actual age and interest group as your larger section of audience, you can customize your site so as to make it more useful to them. With these improvements, you can make your site audience stay longer and ultimately turn them into customers. Website analytics tools like Google Analytics and MonsterInsights show you exactly which content gets the most visits, average duration, and bounce rate for the individual pages, so you can analyze, and optimize, for better engagement. You can add more call to action (CTA) buttons, purchase links, etc. on the top pages of your site and boost your conversions. Similarly, you can update the top landing pages with the latest information or revamp their whole design and structure to make them look fresh and updated. In addition, you can learn what type of content works and what doesn’t. That way, you can focus on the type of content getting more visits to boost your site engagement and gain more customers. Search engine optimization (SEO) is one of the most crucial aspects in determining your business growth. The more organic traffic your business site receives, the more leads and conversions it gains. Website analytics help your site’s SEO in various ways. By knowing your visitors’ demographics and interests, you can create targeted content and get better visibility on search engines. Furthermore, you can gain some insights on backlinks by tracking your referrals. Moreover, using MonsterInsights and Google Analytics, you can connect your Analytics account with Google Search Console and track what search queries are sending you the most traffic. 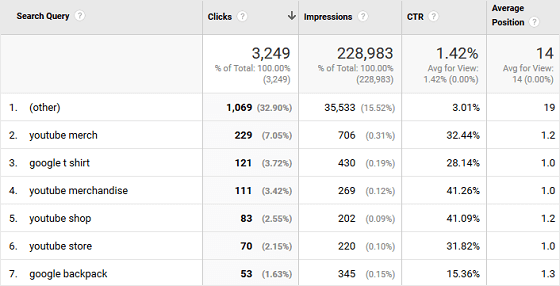 It provides you with the actual data of total clicks, impressions, average click-through rate (CTR), and average position. You can also set up site search tracking and track what your visitors are looking for on your site. Using this option in Google Analytics, you can compare between your existing content and what users are looking for, and check whether users’ expectations are being met or not. Bonus: It also provides you with new topic ideas for your blog, if you have one. Using website analytics, you can track who referred most traffic to your business site, analyze, and focus on strategies to gain more referrals from them. For example, if your site receives most traffic from search engines, it means your site SEO is strong. Now with little extra effort, you can improve your website’s online visibility and gain more traffic than ever before. Website analytics not only give you insight into your site referrals but also whom you are referring to or the outbound links. Using Google Analytics or MonsterInsights, you can view the top links clicked on your website that go to other websites, analyze, and reach out to those websites with partnership offers. You can see many businesses grow out of collaborations with other related businesses through mutual recommendations and cross-promotions. Looking for the right business partner, reaching out, and asking for partnership can’t be easy until you have a clue regarding exactly what works for the partnership. 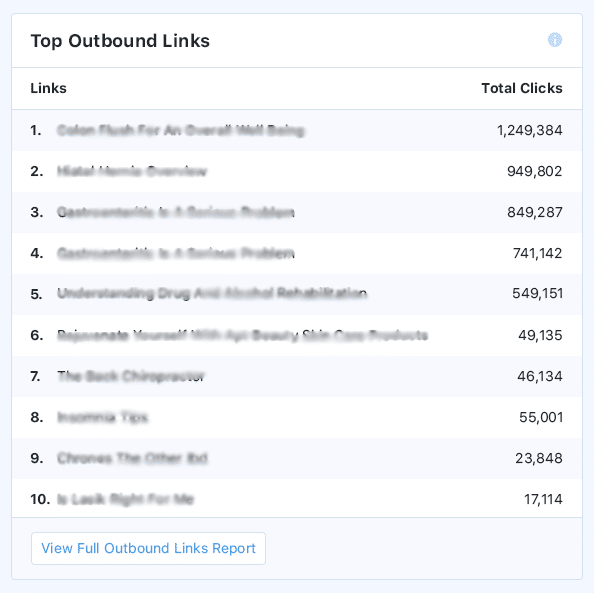 So, using Google Analytics outbound links reports, you show can show other business owners exactly what works between the two businesses and easily persuade them into partnerships. 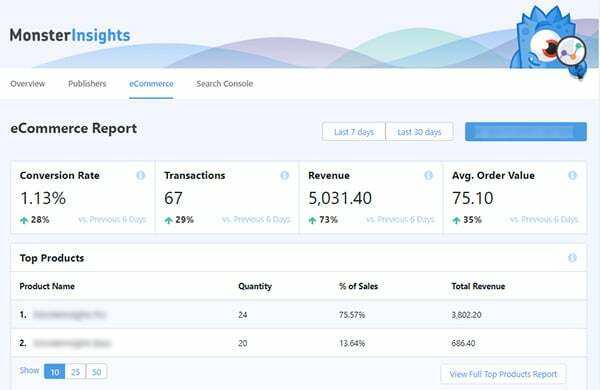 Whether you are selling physical products, software, or online services, the sales report is the most important report you should get to know. Thankfully, website analytics tools like Google Analytics and MonsterInsights show you all your important eCommerce metrics like total revenue, conversion rates, top products, top referral sources, etc. in a single report. Then, with the exact idea of who is referring you most sales, you can create strategies to gain even more. Setting up eCommerce tracking is very easy for WordPress sites using MonsterInsights eCommerce addon. With just a few clicks, you can enable this option and view your most important eCommerce data. 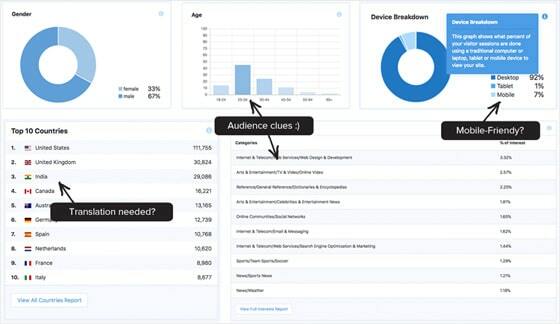 Which Website Analytics Tool Should You Use? 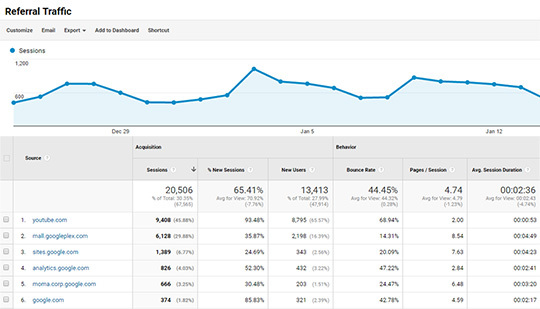 Google Analytics is by far the most popular analytics tool available, and it’s 100% free. The problem is that it has a steep learning curve. If you’re not tech savvy and cannot code, then it would be very challenging for you to set up advanced tracking. That’s why we created MonsterInsights. 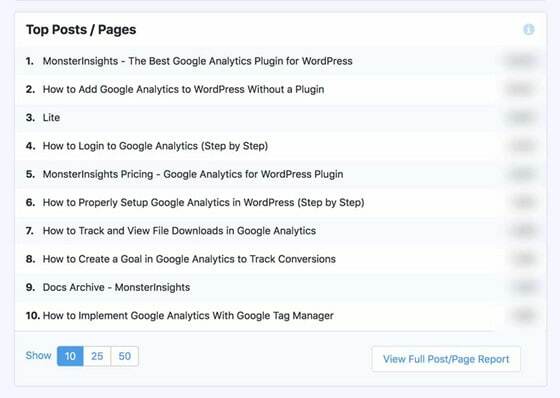 It’s the most user-friendly Google analytics WordPress plugin and it simplifies the entire process of setting up Google Analytics and tracking important website analytics for WordPress sites. MonsterInsights lets you install Google Analytics easily in no time flat, without touching a single piece of code. Once set up, it shows you all your important website metrics inside your WordPress dashboard in a beautiful and intuitive way. Furthermore, it allows you to set up advanced tracking like eCommerce tracking, forms, downloads, etc. in just a few clicks. Using MonsterInsights, you’ll get simple and easy-to-understand reports for your business site. We hope this article helped you learn the importance of website analytics, and we hope that you choose MonsterInsights to help you grow your business with confidence.